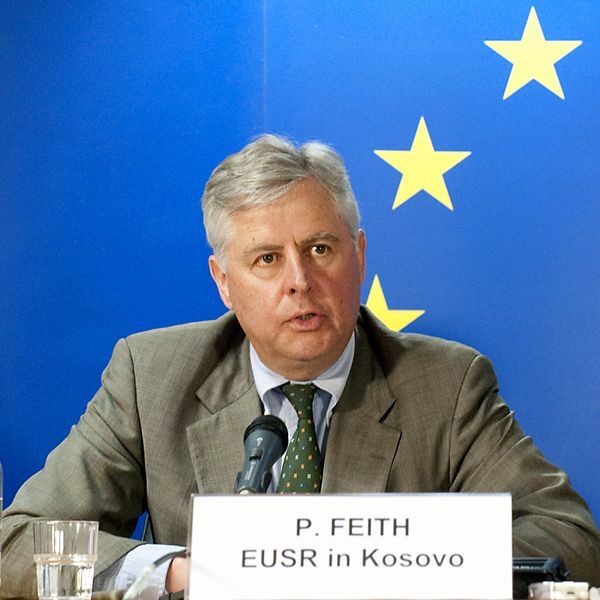 While the European Union is mulling over its representation in Kosovo, the mandate of Pieter Feith as special representative of the 27 in Pristina expired. By April 30th Feith was serving both as head of the International Civilian Office and as a Special Representative of the EU (EUSR). Brussels has not decided yet on the key appointment that could be left vacant for at least three months. The EU is willing to reinforce and restructure its presence in the self-proclaimed independent Serbian province. It is believed that the EUSR post will be merged with the post of a head of the European Commission liaison office in Kosovo. 15:27 A temporary solution on the person that will take over the post of EU Special Representative to Kosovo has been found. 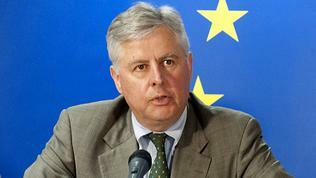 Catherine Ashton, the EU High Representative for Foreign and Security Policy, announced on May 6th that Italian career diplomat Fernando Gentilini is going to serve as EU envoy to Kosovo for the next three months. Gentillini is currently an advisor of Aston. In the coming period he will prepare the ground for "a strengthened and long-term EU presence in Kosovo, in line with the Lisbon treaty and the European perspective of the whole region," a statement by Ashton reads. Media have rumoured that Miroslav Lajcak, Managing Director for the Western Balkans in the European External Action Service, could take over temporarily the post. Lajcak however dismissed the speculations. His possible appointment even for a short period of time could provoke tension in Kosovo because, while serving as a Slovak Foreign Minister, Lajcak was defending firmly the stance of his country against Pristina's independence. In recent days media reported that the Austrian Member of the European Parliament of the Group of the Greens/European Free Alliance, Ulrike Lunacek, who is also a Rapporteur on Kosovo had applied for the position head of the EC office in Pristina. Lunacek is enjoying popularity among Kosovars because of her efforts to push for the liberalisation of the EU visa regime for Kosovo. Meanwhile Serbia has said that it expects from the new EUSR a more balanced approach towards Kosovo and communication with Belgrade. Serbian Minister for Kosovo Goran Bogdanovic told the Beta news agency that communication with Pieter Feith was lacking not only because he was in favour of Kosovo's independence but also because his "stances, rhetoric and approach about how to resolve the problems were unacceptable for the Serbian community". Brussels is also willing to strengthen its presence in Sarajevo but in order to do so several conditions should be met first. Currently Valentin Inzko is serving both as High Representative and a EU Special Representative. In the conclusions from their meeting in March, the EU foreign ministers said that the bloc was finalising the preparations to establish a reinforced single EU Representative who will take a lead in supporting Bosnia and Herzegovina on EU-related matters. It was also mentioned that a possible relocation of the Office of the High Representative (OHR) out of the country could be discussed. The closure of the OHR depends on meeting the so-called 5+2 conditions and goals. Among the outstanding issues remains the apportionment of state property. Local leaders have been also urged to pass a law on state aid and to amend the constitution by scrapping clauses that discriminate against minorities. One of the main conditions is to respect the Dayton Peace Agreement and to avoid actions or rhetoric that could undermine it. The latest moves by Bosnian Serbs challenging decisions imposed by the High Representative, however, were labeled as an attack on the agreement. The international community is expected to react on the issue in the coming days with local media predicting that sanctions are inevitable.